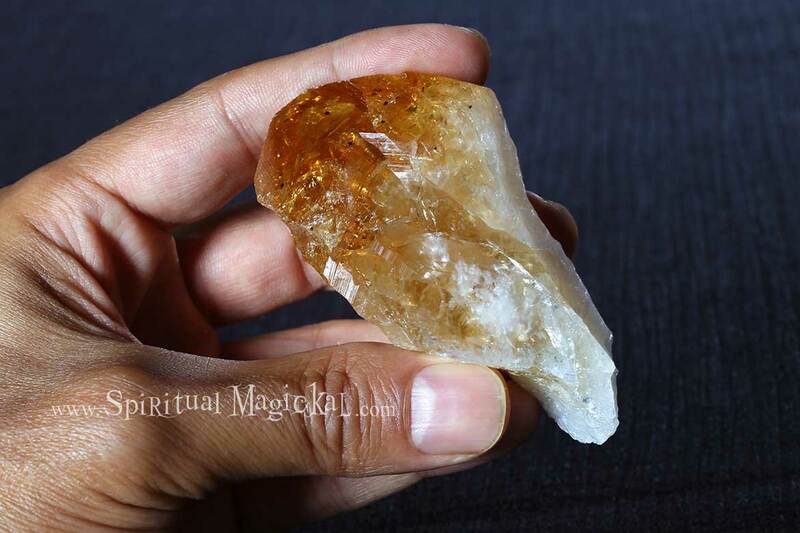 Citrine Crystal Point, Raw, Energy Stone, Brazil. This particular crystal stands 3-1/2 inches tall (8.9cm) and weighs 4.3 ounces (122 grams). 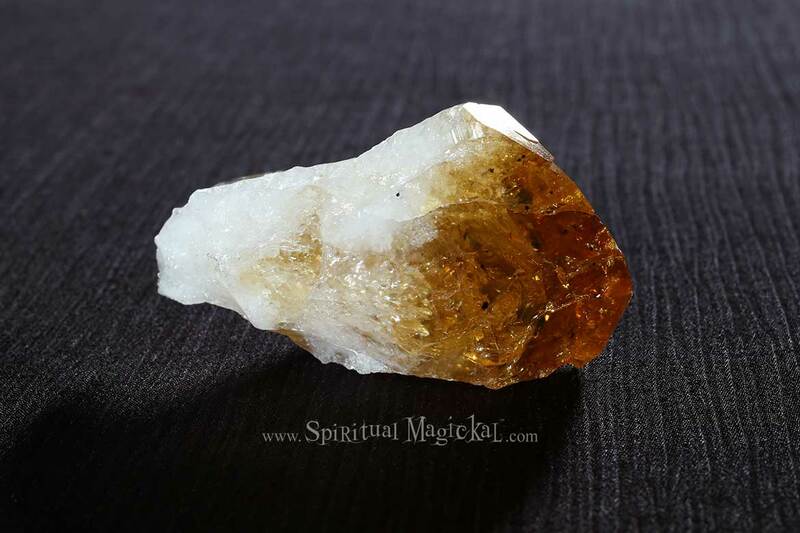 Citrine holds a warm, sunny energy and is a joy-filled reminder of your divine essence. 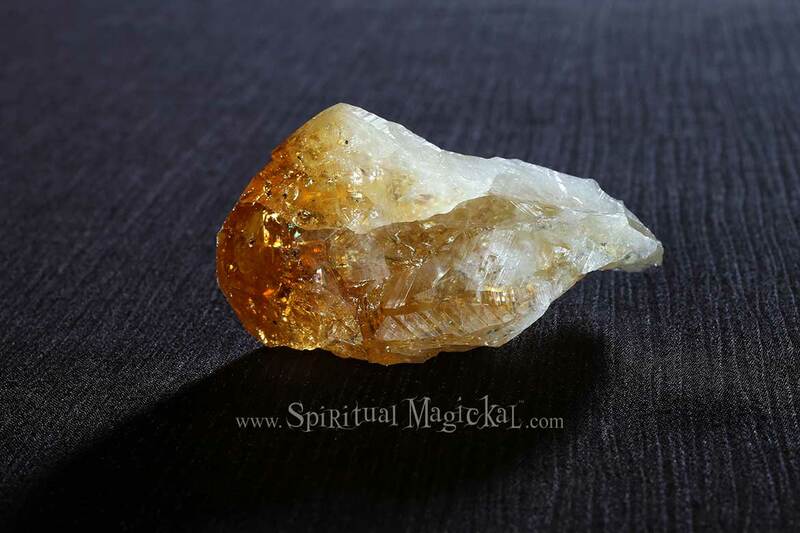 Citrine is excellent for transmuting negative energy and activates self-confidence and joy in one’s life. It helps to lift the mood and remove any feelings of unworthiness or inferiority. Citrine is wonderful for attracting success and wealth and is known as “the merchant’s stone” and can be placed in a cash drawer or the “wealth corner” (feng shui) of the home to attract abundance. One might carry Citrine in their purse or pocket as a general good-luck stone. Citrine also helps with personal will, mental clarity, creativity, energetically supports digestion, metabolism, weight loss, stimulates optimism, playfulness, decisiveness in difficult situations. Enhances creative imagination, manifestation through the will. Citrine is a sun stone and also represents the element of Fire. This is a perfect size crystal for holding in your and meditating, or for putting on a desk, nightstand, or alter, and small enough to carry with you, or in your purse or backpack.